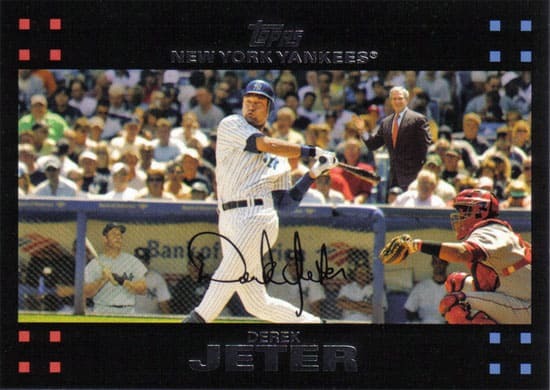 A Topps employee snuck photoshopped images of George W. Bush and Mickey Mantle into a Derek Jeter baseball card before the card’s final proof, and the company let it go to press. They say the card will most likely revert to its original form later in the season, but for now the cards are starting to fetch a good price on eBay. Funny, there is always that one drunk numbskull in the stands who tends to ruin the game for everyone in his general vicinity.